Getting older is often characterized by graying hair, more free time, and living your life in relative ease at your golden years. But getting older also means that your health is more delicate, as your body is unable to maintain itself as it once did. Age-related macular degeneration (AMD) is the leading cause of vision loss in people 50 years and older. As the name suggests, the main reason for its occurrence is simply growing older. This often leads older individuals to lose their central vision, with peripheral vision often spared. Unfortunately, there is no cure for this condition, with treatment being the only solace for affected individuals. However, new research suggests that AMD could possibly be recognized with special laboratory tests using a technique called “metabolomics,” which can help identify blood profiles and level of severity. The researchers believe that this new technique could lead to earlier detection of AMD, improved prognosis assessment, and even provide precise treatment for patients. There are two recognized forms of AMD: wet (neovascular or exudative) and dry (atrophic). Both carry the risk of vision loss but develop in different ways. Dry AMD occurs due to the development of tiny protein clumps called drusen, while wet AMD results from the development of abnormal blood vessels that lead to scarring of the macula. Though rarer than its “dry” counterpart, “wet” AMD leads to faster deterioration of central vision. The current treatment for wet AMD involves the utilization of a medication called anti-vascular endothelial growth factor. This drug helps reduce the number of abnormal blood vessels within the retina. The problem arises with its method of use, as wet AMD patients require frequent and unpleasant needle injections directly into the eye itself. Ironically, this procedure also carries a risk of blindness. “With metabolomics, we can identify blood profiles associated with AMD and its severity through laboratory testing. Because the signs and symptoms of early stage AMD are very subtle, with visual symptoms only becoming apparent at more advanced stages of the disease, identification of biomarkers in human blood plasma may allow us to better understand the early to intermediate stages of AMD so we may intervene sooner, and ultimately provide better care,” said senior co-author Dr. Joan W. Miller, Chief of Ophthalmology at Massachusetts General Hospital. This test studies the tiny particles in the body called metabolites that reflect our genes and environment. It is thought that metabolites in the body closely represent the functional state of complex diseases. To test the efficacy of this new technique, the research team used it to examine 90 blood samples from participants at various stages of AMD. Also, an additional 30 samples were taken from individuals without the condition. 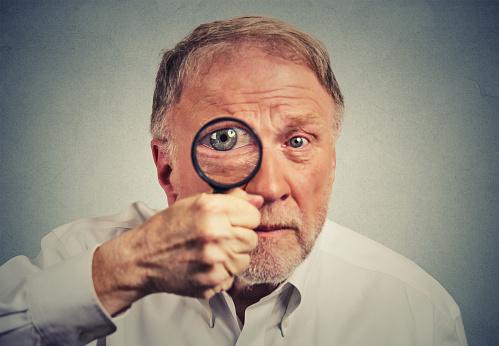 The testing revealed significantly different metabolites between those with AMD and those without, noting varying characteristics between blood profiles at each stage of the disease. Some of the metabolites identified even suggested that they play a part in disease development. However, their exact role remains uncertain. “We believe this work will help launch the era of personalized medicine in treatment of AMD. Our work gives us a novel biomarker for early diagnosis, and it gives us clues to differentiate the progressers from non-progressors. This research also gives us insight into important role of lipids in AMD, which will provide novel targets for treatment in the early stage of disease, thus preserving vision in AMD,” said senior co-author of the study, Dr. Deeba Husain.